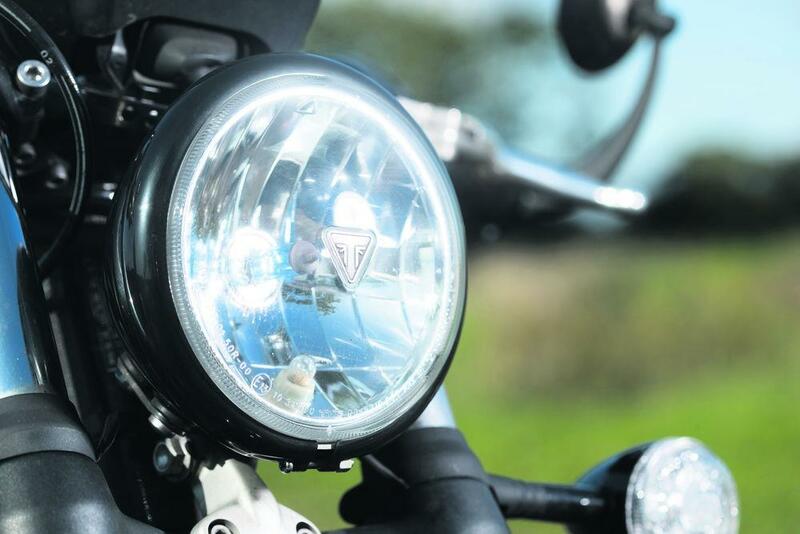 It seems to have been a hectic time for myself and the Triumph Bobber recently, with plenty of longer trips putting more miles on the bike and seeing it blast through the #ride5000miles goal with ease. First, it was a weekend of camping in Brighton, setting off after work on the Friday evening. Until that trip, I’d been impressed with the comfort provided by the minimalist saddle, but thanks to several road closures pushing the riding time up to three-and-a-half hours, my arse was starting to feel it. Still, three-and-a-half hours isn’t bad for a bike like the Bobber, and with the small fuel tank it’s never too long before I have to fill up anyway. How did I carry all the stuff for camping on the Bobber? Gave it all to my girlfriend, who went down in the car. Perfect. 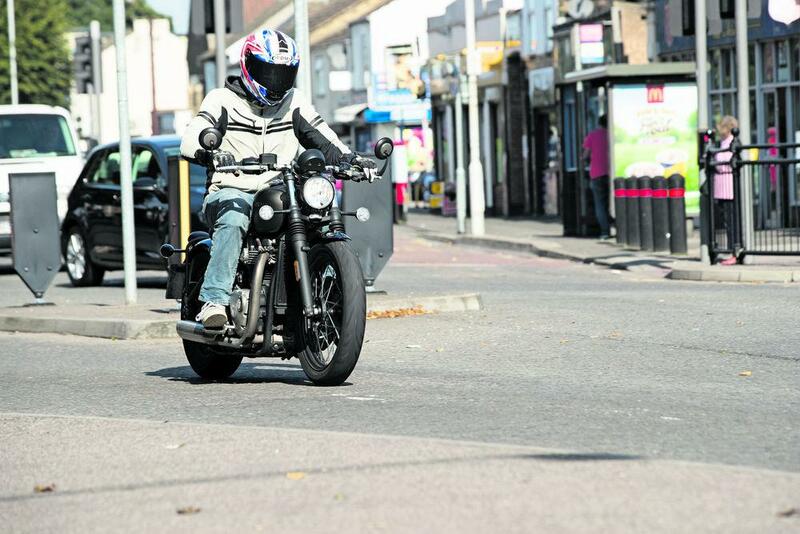 The Bobber has also been tested in central London traffic recently, and it coped well each time. The standard exhausts are loud enough that other road users can hear me coming before they’ve a chance to even see me. But, it also set off the alarm on another bike when I tried to park in a small bike park near Stratford. Despite the bar end mirrors, the Bobber is just about narrow enough to filter at a good pace. The only issue I have with the handlebars and mirrors is that they’re at the exact same height as almost all car mirrors, which can become a problem at times. The Bobber feels right at home in the city, especially with the super-slick styling of the bike. 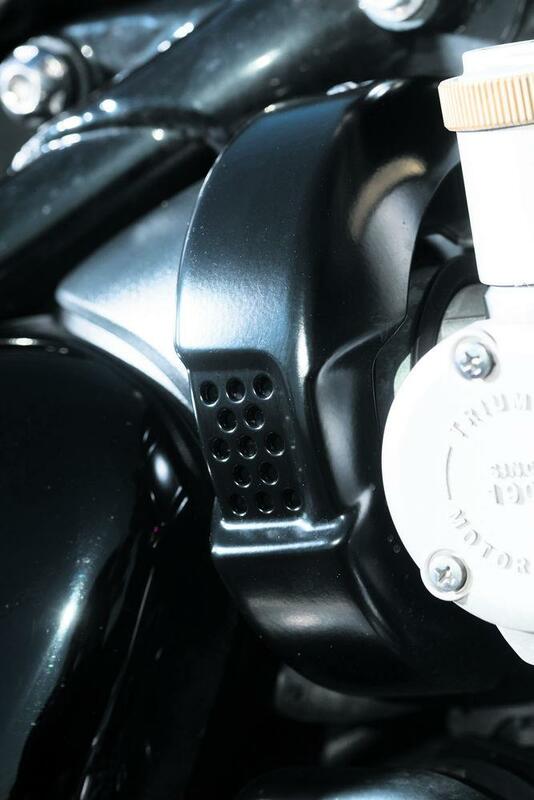 I’ve begun making some changes to the bike, with official Triumph accessories, starting with the small stuff. 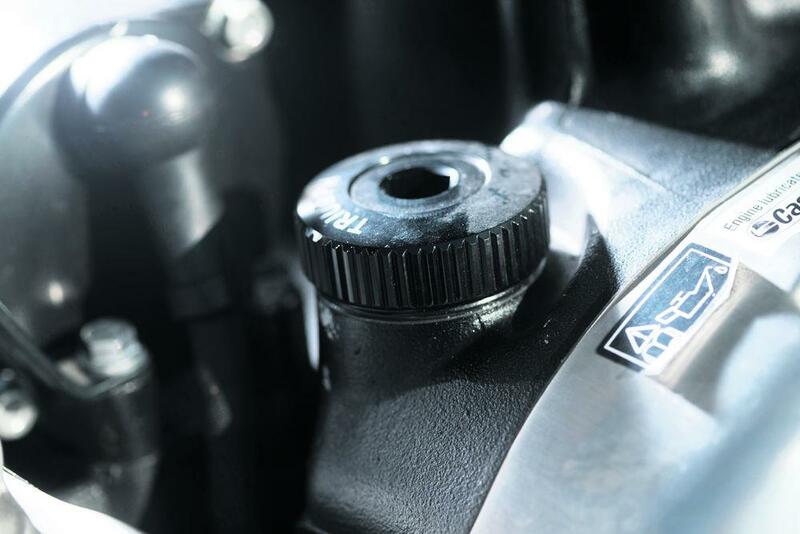 The awkward standard oil filler cap has been replaced with a machined black item (£15.30), which looks much nicer and can actually be unscrewed without pliers and a 10p piece. I decided to stick with the black theme – I’m not a fan of chrome – so the chrome headlight surround was replaced with a black item (£41), and the intake covers behind the fake carbs were replaced with black ones (£36). I had also hoped to fit a shortened front mudguard (£123), which looks much sleeker than the standard item. But the bolts that mount the mudguard to the fork lowers can only be accessed by removing the front wheel, which I was unable to do with my meagre tools. This makes the forks look much cleaner, but it does strike me as a little odd for a bike that owners will want to modify. For now the standard mudguard stays, which is probably good now that the weather is starting to turn. The problem is the new seat is almost completely flat, so my weight isn’t distributed evenly across my arse. 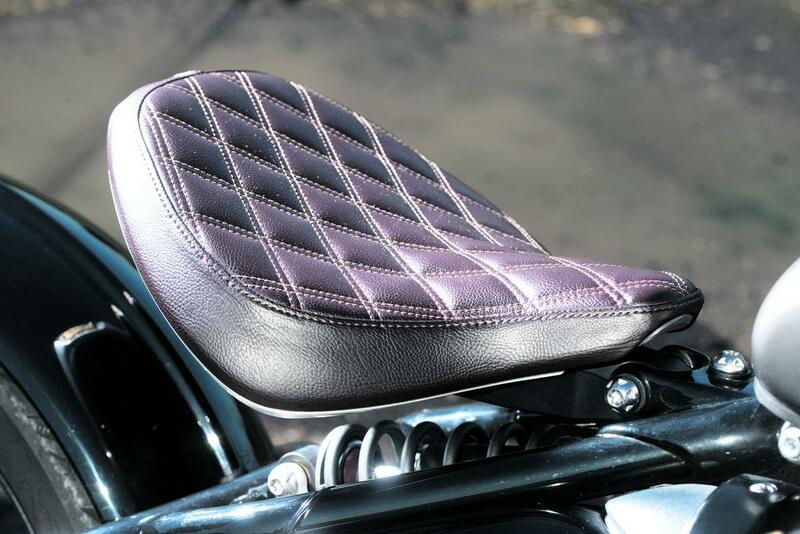 The standard seat is much more sculpted, which results in an even distribution of weight across my boney rear. I fitted the lot in about an hour and-a-half, streaming the whole thing live on the Motorcycle News Facebook page and inviting questions from the viewers, the poor souls. If you like watching an idiot with spanners, you can watch both parts of the video below.